Ko Lanta remains an ideal place for relaxing holidays off the west coast of mainland Thailand. Less frequented than many of its island neighbors, Ko Lanta offers a feeling of seclusion no longer readily available in places like Phuket or Phi Phi islands. The beaches offer pristine sand, while out at sea, visitors discover rich marine environments on guided trips. Add the small villages clinging to the coast to your Ko Lanta itinerary to sample local cuisine and international fare at the relaxed beachside bars and restaurants. Ko Lanta is in Krabi Province. 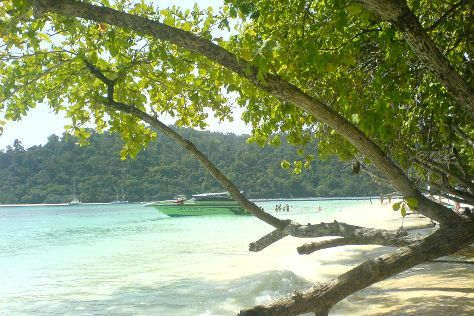 Plan the details of your Ko Lanta holiday and any onward adventuring with our easy-to-use Thailand online trip builder .